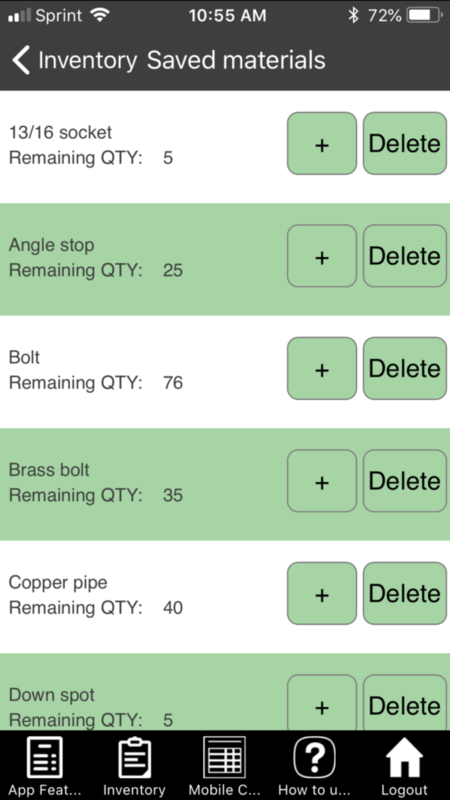 Whenever the job changes in the field it’s no problem with the Profit Pal App. Many of you Tradespeople out there know that many times when you arrive at a job it is much different than what the customer told you on the phone. When it becomes necessary to modify the estimate you gave the customer. This is no problem with Profit Pal, all you do is tap the Pencil on that particular job and make the changes and recalculate. If it was additional materials, which is usually the case then Profit Pal will even automatically add the tax based on the percentage tax you originally entered for the job. This is how the Profit Pal App makes your job easier. How many trade’s people forget to add the tax that they will have to pay for the new items that are being added to the job. This is what the app was designed to help with. When you enter the job data into the appropriate fields the app takes care of the rest. These changes are required quite often since it’s difficult to accurately estimate the job until you have actually seen it. And there will be many additions as well as subtractions when you arrive at the job location. Things like travel distance and fuel may not change much but surely adding additional materials will be an issue. Just know that you can change any of these numbers just by taping the pencil and entering the new values. Profit Pal App Tutorial Click Here!